When it comes to re-upholstery it’s extremely important that you have access to fabrics that keep with the style and flow of a furniture piece. If you have upholstery or fabrics with a specific design that you need replaced very important that you find the right upholstery material. Our reupholstery and furniture restoration company can find suitable reupholstery materials that fit any type of style for sofas, chairs or décor. Whether you are looking for a specific upholstery piece or something that can match your new décor we can source upholstery and fabrics that can suit your every need. 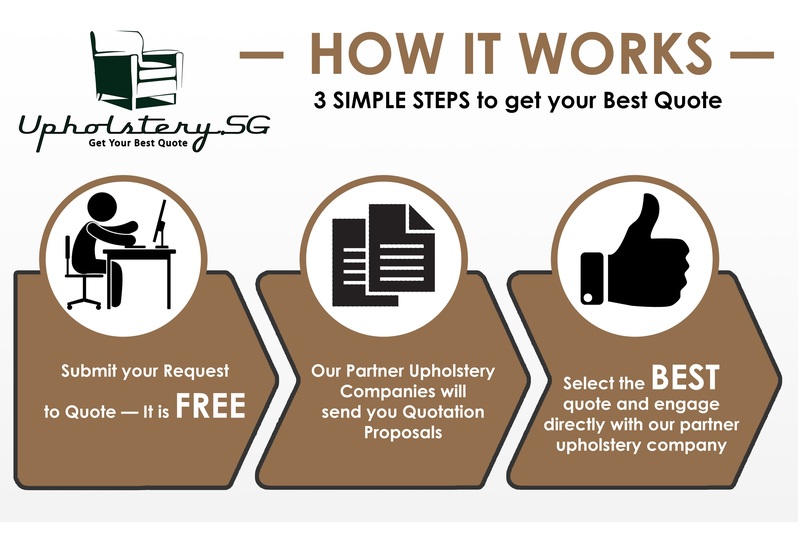 Our upholstery material supply in Singapore is extremely competitive and we have successfully restored hundreds of furniture items in our experience. With the help of our upholstery material you can get furniture that is virtually brand-new. Our fabrics range from vinyl material to microfiber cloth, leather and more. No matter the style that you are looking for we can source the materials and perform labor to make sure that you are furniture item comes out looking brand-new. The best part about our upholstery material is that it’s designed to last. By working with some of the highest quality suppliers we can work to provide sofa and chair solutions that will give you the longest lifespan for the future of your furniture. Through high-quality materials and design we can help you breathe new life into your furniture, cut down on the desk in your home as well as work to restore beautiful antique pieces to their original glory. Contact us today to get your best quote for upholstery material.